If you’re in the market for a new car, this is also a good time to revisit your auto insurance needs. After all, you’ll want to make sure your new vehicle is properly insured when you drive it off the lot. The process of shopping for and purchasing an auto insurance policy when buying a new car can seem a bit daunting, but by keeping just a few things in mind, you’ll be in good shape. First of all, give yourself time to shop around for an auto insurance policy! Even if you pick out your new car more quickly than you expected, you should give yourself at least a few hours to research your insurance options. Don’t rush into choosing a policy just because it’s what the vehicle salesperson recommends. A lot of the time, many of these salespeople get “kickbacks” from insurance agents for recommending them. Take your time and find a policy that truly suits your coverage needs and your budget. Make sure you understand exactly how much coverage is required based on your vehicle purchase. If you’ll be financing your vehicle (either through a lease or a car loan), keep in mind that you’ll likely be required by the lender to carry full-coverage insurance. This includes both comprehensive and collision coverage. You will need to provide proof of this before you’ll be able to drive your vehicle off the lot. Even if you pay for your car in full, you’ll still need to meet your state’s specific requirements for liability coverage and provide proof of this as well. If you’ve already chosen your exact vehicle and are ready to insure it, you can do so by contacting your insurance agent before you even go to sign the paperwork on your new car. You’ll just need some information on your vehicle, including the VIN, make, and model. This is all the information that your dealership should have no problem getting to you. Generally, it is recommended that you contact your insurance agent on a weekday to get this taken care of. However, you can always select the start date of your policy to be the day you purchase your vehicle (in the future) to avoid paying for days you don’t actually need coverage. This is the best way to have your ducks in a row before you even head into the dealership to finalize your purchase. A lot of people purchase new vehicles on weekends, and that’s fine; however, getting insurance coverage on a Saturday or Sunday can sometimes be more challenging. Most major insurance carriers should still have a toll-free number you can call to get temporary coverage placed on your vehicle for the weekend or another short period of time. 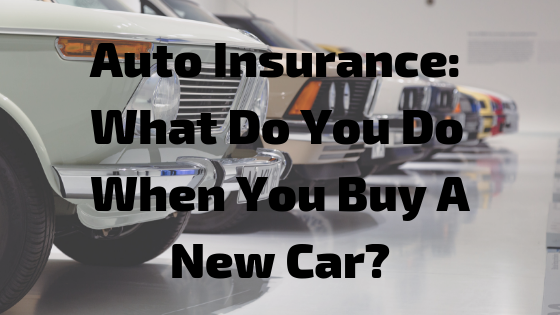 This is usually the best option for those who need proof of insurance coverage to drive their new vehicle off the lot but would prefer to purchase their policy through their trusted agent. In such a situation, you can purchase a temporary policy over the weekend and contact your insurance agent to finalize your permanent policy the next available business day. If you go this route, just make sure there aren’t any gaps at all in your coverage. Any time you’re buying a new car from a reputable dealership, you’re going to be required to show proof of insurance before you can drive your new vehicle off the lot. With these tips in mind, however, you can secure coverage before you even finalize your vehicle purchase and drive off the lot with confidence. 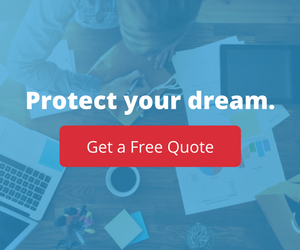 For more information on auto insurance and other types of coverage, contact us today.